As children grow, their unique personalities begin to develop, and they start to build the knowledge and skills that they will need in life. In our last blog post, we looked at three of the qualities that our HighScope curriculum focuses on developing in preschoolers. Today we’ll look at four more of the essential qualities that we believe should form a standard part of every child’s education. While we might wish that cooperation would come naturally to children, that simply isn’t the case. Nobody has to teach little Jacob and little Emily to fight over their toys—but we DO have to teach them how to share, say please, and play together in cooperation rather than competition. Frankly, it’s hard work to move children from the point where their natural reaction is “It’s mine!” to the point where they are willing and generous with their things, to say, “Sure, here you go.” Maybe you have a coworker who never learned this in preschool and now struggles to cooperate with others on projects. The earlier children start to learn this valuable skill, the more likely they will do better as adults. Have you ever noticed that children tend to give up quickly when they can’t find something, and it’s almost like they don’t have a concept of how to look comprehensively through an area to find an item? Persistence is a skill that must be taught. The ability to keep on trying and never give up will help your child in their adulthood to weather adversity and solve problems. If there’s one label that seems to consistently attach to the creative people in the world, it’s “talented.” Think about the artists and musicians that you know. Don’t you see them experiencing a constant barrage of people’s comments along the lines of, “Wow, you’re so talented. I wish I was as talented as you.” However, creative thinking and creative ability is actually something that can be taught. 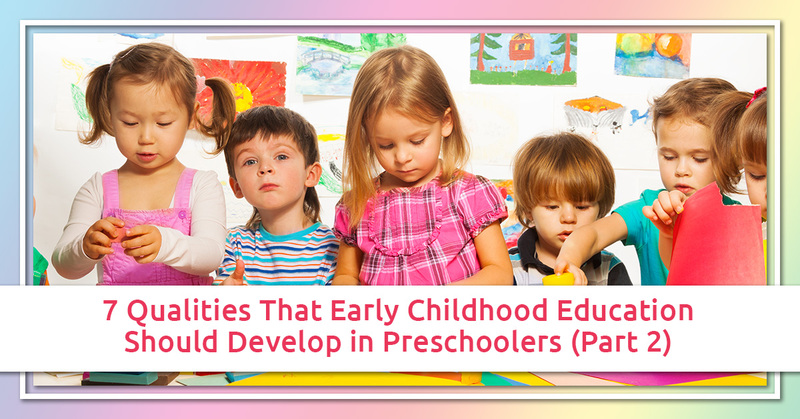 In our preschool, we strive to develop your child’s creative ability to the max. When a person is confident in their ability to tap into creative juices, they’ll constantly be getting boosts of approval and affirmation from others, which is a nice plus. The adult-sized problems of the world are big and puzzling and truly needful of being solved, and our society depends on the next generation being able to tackle real-world challenges like cancer, cybersecurity, homelessness, and addiction. What better way to set them on the right track for this than by giving them child-sized problems to solve? When a child succeeds in solving a problem, there is a genuine pleasure and joy that comes with that. We want your child to discover their problem-solving ability at an early age so that they will pursue the lifelong enjoyment of solving bigger and more meaningful problems as they grow up. Here at Rainbow Chimes, we’re not just interested in providing daycare or babysitting. What we want is for your children to grow up as productive, well-rounded, caring individuals. You’ll be proud to say, “That’s my child!” Enroll your child today.